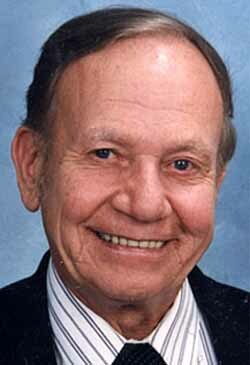 Sherman M. Honeycutt, 79, of Arlington, Virginia, formerly of Onamia, and a retired CIA Intelligence Officer, died Thursday, February 14, 2002, at the Hospice of Northern Virginia in Arlington, Virginia, of cancer. He was born in 1922 in Superior, Wisconsin. He graduated from Onamia High School in 1940. 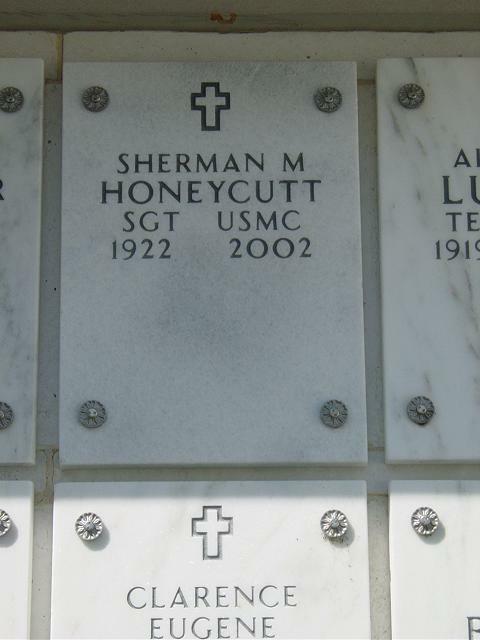 He enlisted in the Marine Corps in 1942 and participated in the amphibious assault on Okinawa in April 1945. He had attained the rank of Sergeant at the time of his discharge in November 1945.
minored in French. He sailed to France on a passenger ship that year and studied at the Sorbonne in Paris. He moved to Washington, D.C., in 1950 and joined the CIA as an officer in the agency's Near East division. He married Arlene Harding in 1953. They were assigned to CIA stations in Paris and Istanbul, Turkey, before returning to CIA headquarters in 1959. They lived in Bethesda, Maryland, until their divorce in 1969. She died in 2000. He moved to Burke, Virginia, in 1972 and retired from the CIA the following year. In 1970, he married Anne Gilbert. He became a Realtor. They divorced two years later. He was active in Northern Virginia politics and was a campaign volunteer and Fairfax County precinct captain for the Republican Party. He was a member of the Republican National Committee, the National Association of Realtors and the U.S.
Paul Honeycutt, San Diego; four grandchildren; and two sisters, Alyce Eileen Meyer, Richfield, and Lana Rose Sheets, Mesa, Arizona. Services will be 3 p.m. March 5 at Fort Myer Chapel in Arlington, Virginia. A reception will be held at 4:30 p.m. at Fort Myer Officer's Club following burial in Arlington National Cemetery. Memorials are preferred to the Holy Spirit School building fund, 8800 Braddock Road, Annandale, Va., 22003.